Ready to learn how to shoot portraits? Then this workshop is for you! On April 10th, photographer Toma Kostygina will explain the patterns of the face , the separation from the background, distance and color tricks, planes of lighting, etc. One lovely model will be there to assist her demonstration and your practice! This class is open to any level, from professionals who could use a refresher to new photographers working on their skills. Photographer Toma Kostygina is one of the best teachers we are proud to have at FD. Her experience in both photography and teaching photography has already touched 100s of students in Los Angeles. or cosy uniques workshops she teaches at FD. 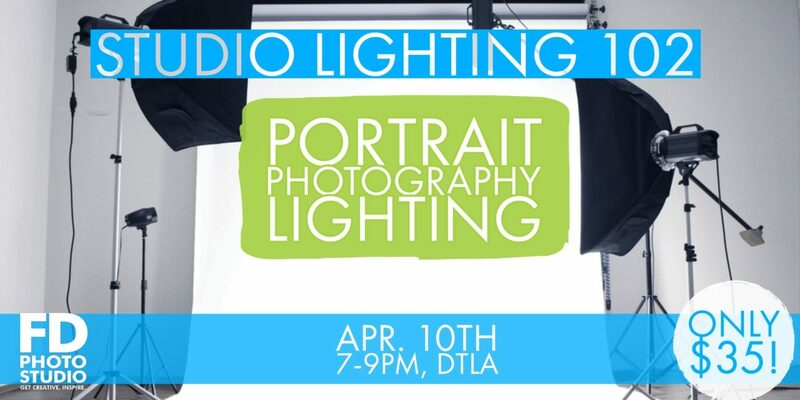 FD Hill Studios (FD Photo Studio Hill Location), April 10th, 2019, 7pm – 9pm. Tickets are only $35 and we have few spots left!